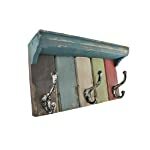 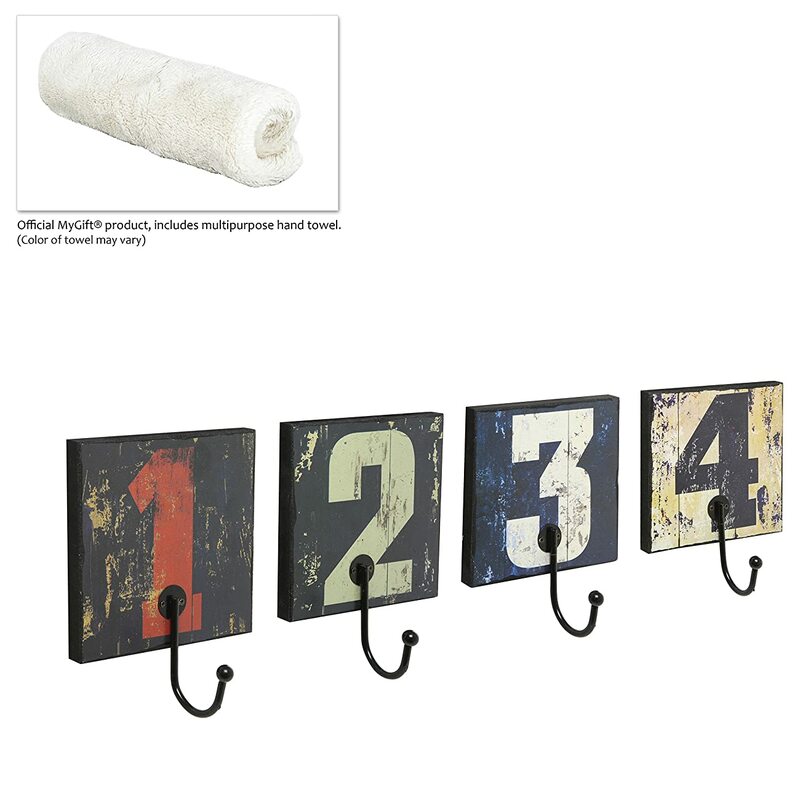 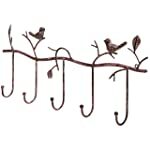 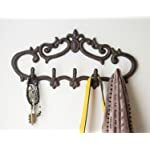 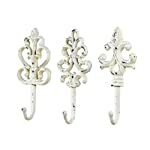 Rustic-style charm and convenient storage can both be yours when you add this set of 4 hanger hooks to your home. 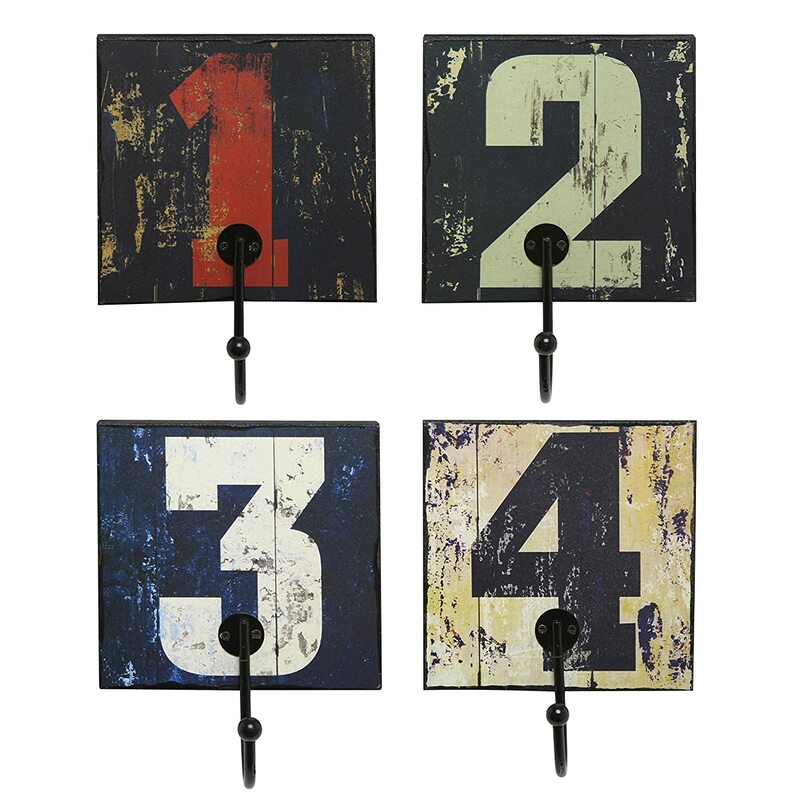 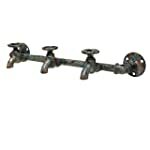 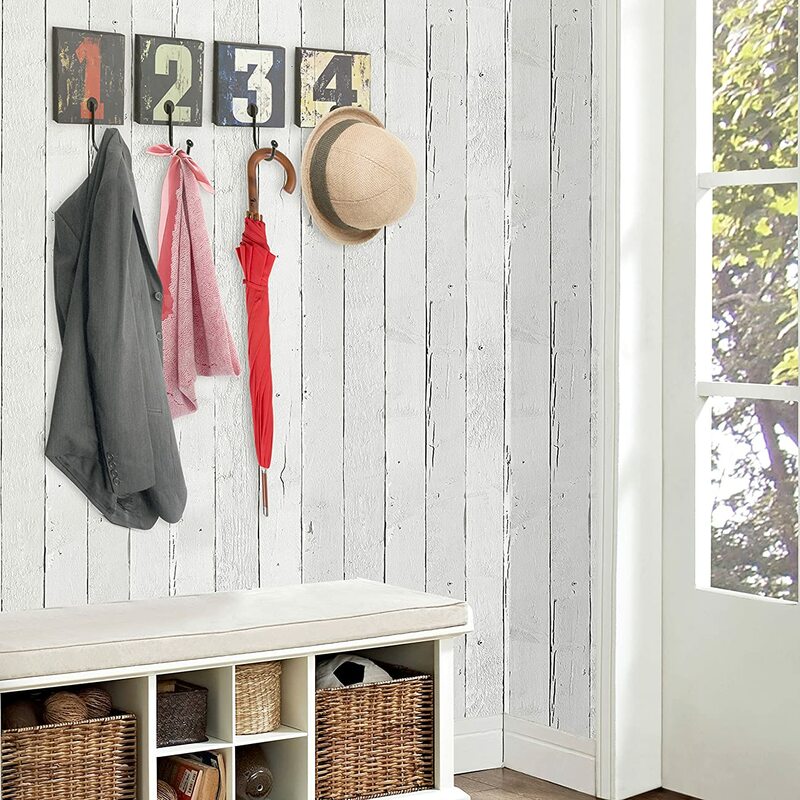 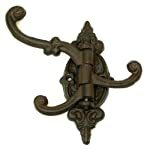 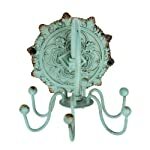 Each ball-capped metal hook features a wooden backing with a large number emblazoned across in a distressed, rustic-style design. 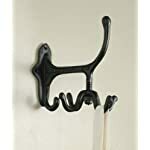 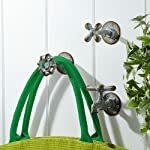 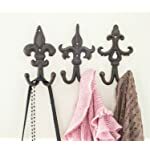 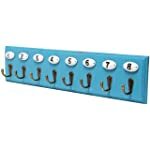 With the appropriate mounting hardware (not included), you can easily add these storage hooks to any wall and use them to store coats, hats, towels, and handbags anywhere in your home. 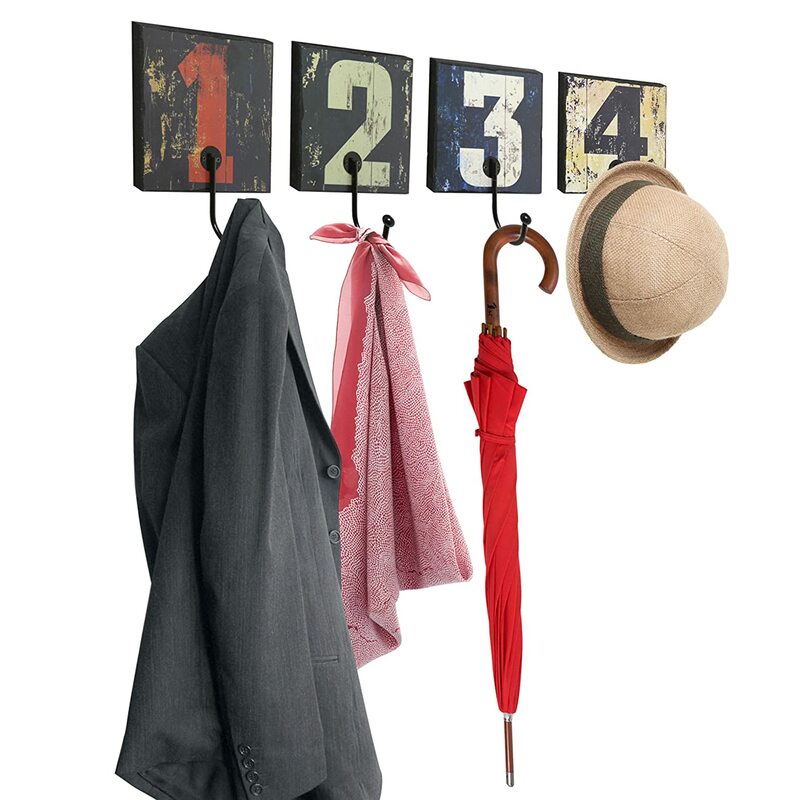 Approximate Dimensions (in inches for each hanger): 6 W X 6 H X 3 D.